www.leegunnell.com: The Soul (Foundation) of Jon Bon Jovi. The Soul (Foundation) of Jon Bon Jovi. I was interested in writing an article about Jon Bon Jovi, the man; as opposed to Jon Bon Jovi, the performer. In a world loaded with endless avenues promoting self-gratification and ruthless ambition, I have always been fascinated by those who reach the pinnace of their professions, yet still omit energies of humility; Tom Cruise, Will Smith, and yes, Jon Bon Jovi are prime examples of this; survivors as much as soldiers, in the war of fame. 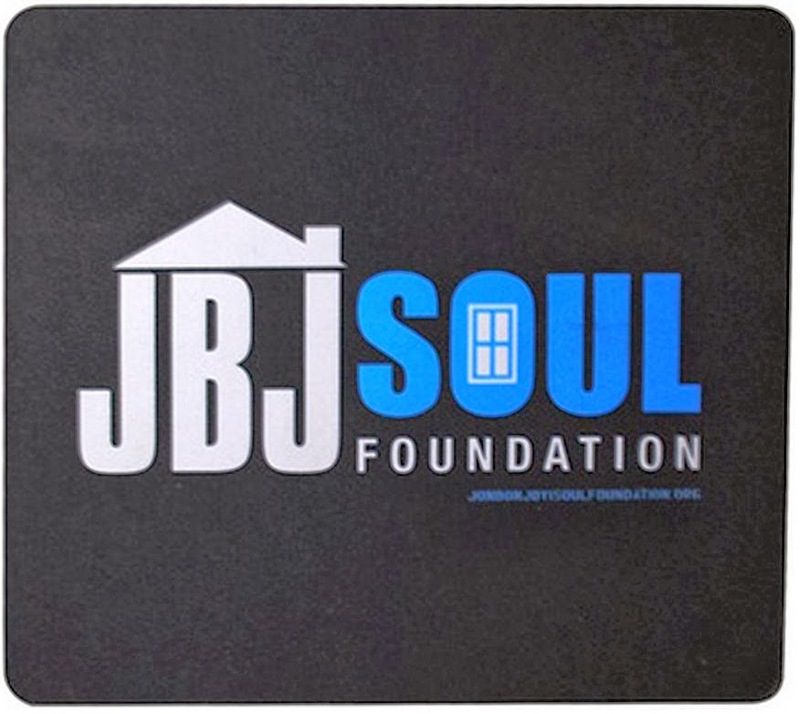 Founded in 2006, The Jon Bon Jovi Soul Foundation is a non-profit organisation created to aid homelessness in the United States. Provisionally starting around the Philadelphia region, but as of this date, expanding as far as the states of Georgia and California, the group works alongside other non-profit organisations and community leaders, in order to establish welfare programmes which provide basic needs of food, shelter, and education to homeless and low-income families. Affordable housing, child and health care, job-training, and financial assistance, are just a few of the ideas they implement amongst their many projects, and to date have rehoused over 260 low-income individuals. 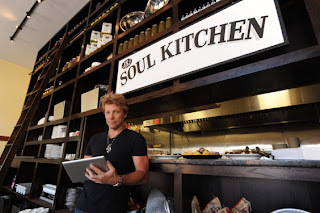 Besides all this, they are also responsible for the Jon Bon Jovi Soul Kitchen - a successful weekly community restaurant based in Red Bank, New Jersey; where food payments are made via donation, or general help within the building. Instead of offering handouts without reason, the foundation provides those they help with a more fruitful, priceless form of currency. Feeling part of a growing community creates a dignified sense of belonging, pride, and ultimately has the potential to plant internal seeds leading to a confident, independent future; and helping each partner rediscover a sense of empowerment - a basic right of every human being, and for some a completely new one. While there are others who keep this group running, as it's figurehead - and with little fanfare, Jon Bon Jovi is actively involved in each cause - even working in the soup kitchen. I can only assume being a blue-collar guy from New Jersey, it isn't difficult for him to empathise with the harsh suffering of American poverty; the kind its mass media - like most nations, like to pretend doesn't exist. While the group are considered small in comparison to world aid charities, there is something unique in their hands on, personal approach. Growing up in an urban part of London; as high in unemployment as it was low in hope, I never appreciated millionaires such as Bob Geldof and Bono ordering me to hand over money I never had; as if the solutions to starvation were black and white, in a world run by a species as complicated as the human race. While I respected their passion to help parts of the world suffering in ways unimaginable, I also found their attitudes ignorant towards the realities faced by working-class families in the western world; never understanding most were living hand over fist themselves, and fighting just to stay in food and shelter - especially in the ruthless serve-the-self era of the 1980's. 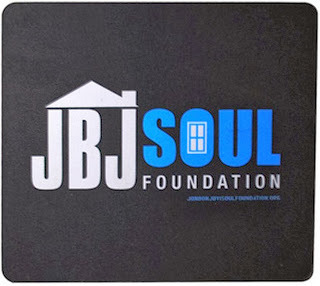 The Jon Bon Jovi Soul Foundation is grounded in reality, and besides Jon Bon Jovi refraining from pushing these plights anywhere beyond the actual campaigns; (openly admitting their gigs are about the music and the music only), his humanitarian, active stance to help deprived families in starving neighbourhoods is thoroughly honourable and refreshing. They are the ideas of a realist which - while lacking the commercial power punch of a stadium concert - demanding the public hand over loose fivers, is likely to naturally grow with time into a much larger, tangible solution to poverty; perhaps even suggesting their outlook is decades ahead of itself. There is a sophisticated dignity in silent altruism, and even though he doesn't court the attention, I feel it deserves at the very least, a written acknowledgement of the remarkable effort from all involved, for an often forgotten and ignored social underclass.